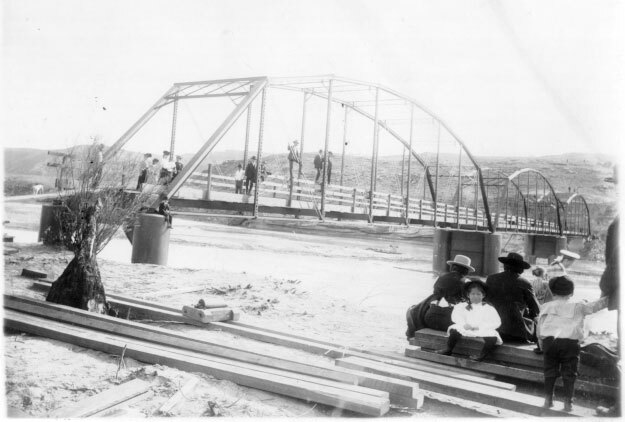 Listed on the National Register of Historic Places, the bridge was completed in 1907, and is one of the few remaining spans associated with noted bridge engineer M.J. Patterson. 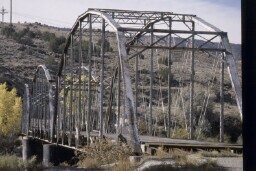 This steel and wood, three-span bridge served for years as a regionally important early roadway used to cross the Colorado River. The City of Fruita completed an assessment as a first step toward building local support to stabilize and rehabilitate the bridge for bike/pedestrian use along a river trail that would stretch from Fruita to Grand Junction. The National Park Service Rivers, Trails and Conservation Assistance program began a river trail planning project in 2005 that will incorporate the bridge. Due to erosion of an island in the river, waterflow seriously damaged one of the bridge’s piers. Experts fear a high spring runoff may cause the bridge to collapse. Colorado Preservation, Inc. and others are working to put together a plan and funding to provide emergency stabilization. 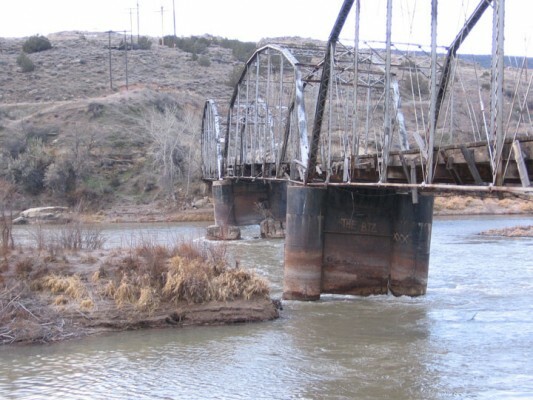 In 2007, the City of Fruita applied for and was awarded a $200,000 grant from the State Historical Fund to stabilize the bridge piers. Along with an additional $250,000 from the City of Fruita, Mesa County, and local fundraising efforts, caissons were built to stabilize the bridge piers and this work was completed in early 2010. A Parks, Open Space, and Trails Master Plan adopted by the City of Fruita in 2009 shows that the bridge still is intended to be an important link in a regional trail system linking Fruita to Grand Junction, the Colorado National Monument, and other trails on public lands. Although no progress has been made to create trail linkages to the bridge at this time, the bridge is safe from imminent danger of loss due to neglect or lack of awareness by the community.